Los Lentiscos Apartments is a delightful complex welcoming couples and families for a relaxing summer holiday in Menorca. 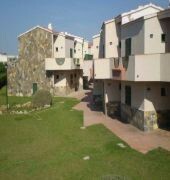 Open from 1st May to 31st October, the popular apartments are a short walking distance to Cala En Forcat beach and to Cala En Blanes, a livelier resort. Los Lentiscos is enjoyed by guests who combine enjoyment of the super facilities on-site with fun at the beach and various tourist spots. 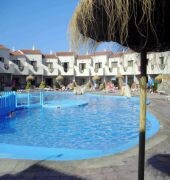 A warm and friendly atmosphere and lovely Mediterranean surroundings - book the Los Lentiscos Apartments for a well deserved holiday in the sun! 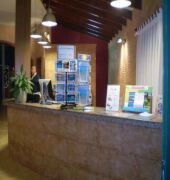 Getting to the hotel: 45 km from Menorca International Airport - Local Tips: Local restaurants and shopping facilities are walking distance and Menorca central town is about 5km with an array of shopping and entertainment options.